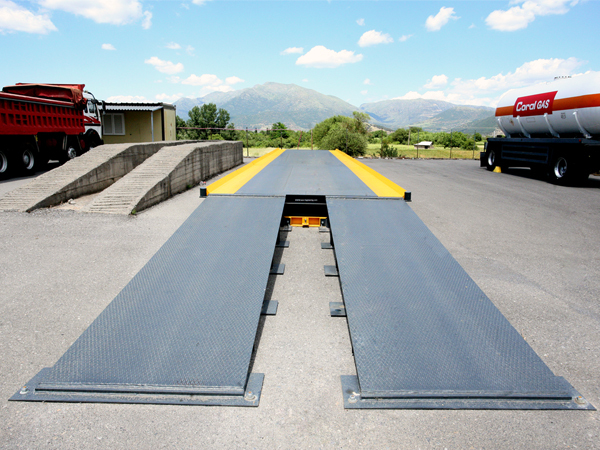 The DIY1000, a variation of DIY weighbridge, is a portable surface weighbridge. Its deck is constructed from steel making the DIY weighbridge, a cost-effective, though sturdy scale solution. 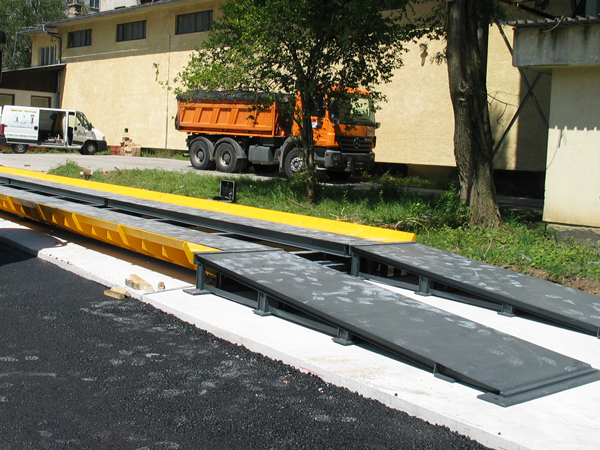 The special feature of this model is the 1000mm middle gap, which benefits the weighing of large trucks. 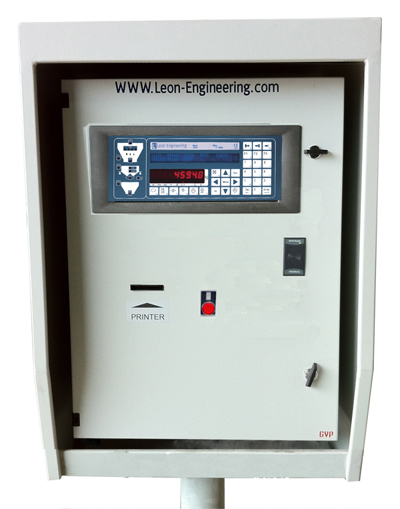 This weighbridge comes fully assembled with factory pre-mounted load cells, reducing the average installation time by half a day. 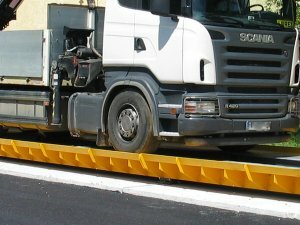 The top removable covers on the deck of the weighbridge offer easy access to the load cells and the junction boxes for instant maintenance and service. 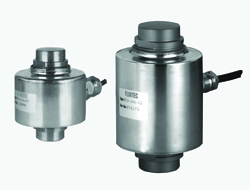 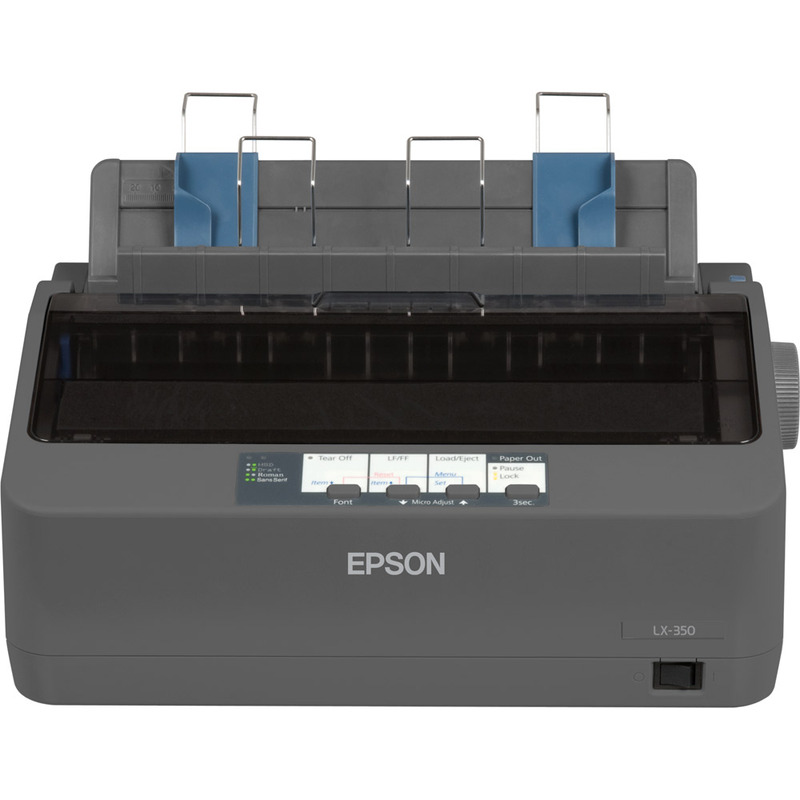 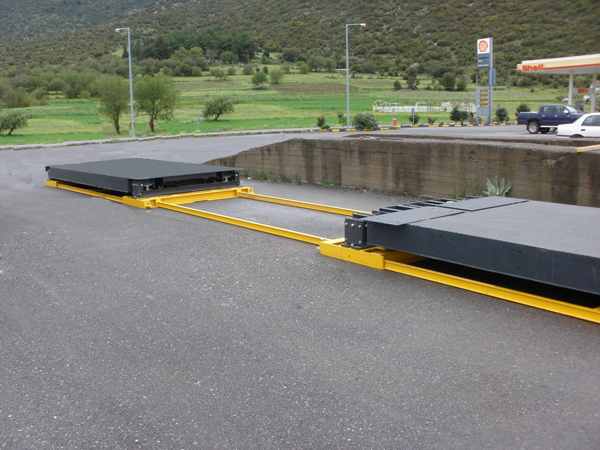 Consists of equal-sized drive decks and side modules, bolted on each of the sides of the drive decks. 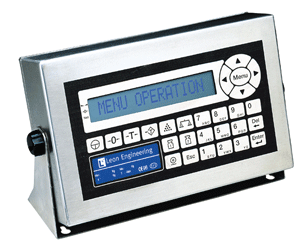 Top access to weighing equipment (load cells and junction box) through the removable covers on the deck. 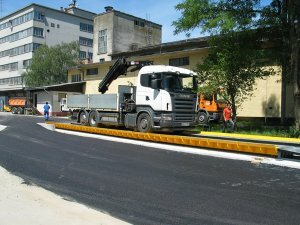 No need of special foundations. 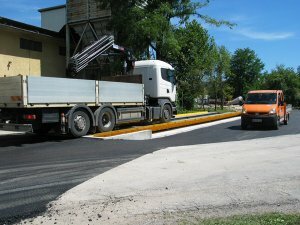 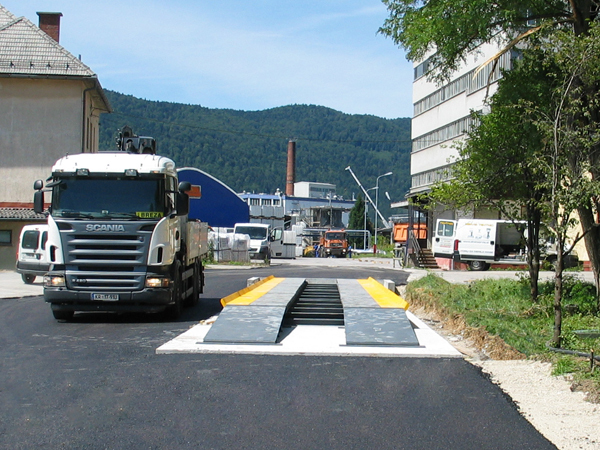 This weighbridge can be installed on a concrete or asphalt surface. Completely steel and modular construction. 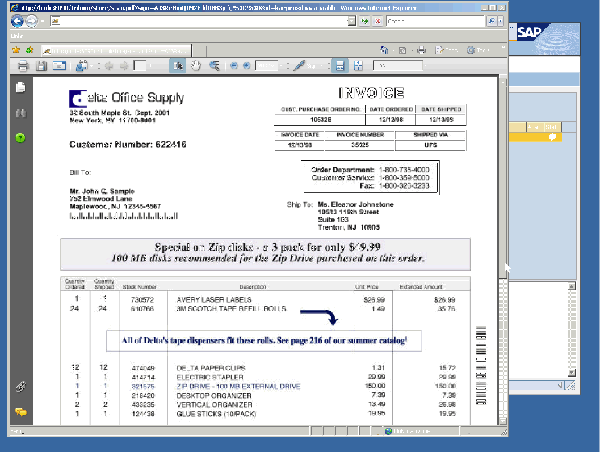 Ideal solution for sites with often relocation needs. Side modules working as side barriers preventing accidents. Factory prefabricated and mounted steel foundations, that can be put directly on compacted earth, horizontal concrete surface with minimum reinforcement or asphalt. 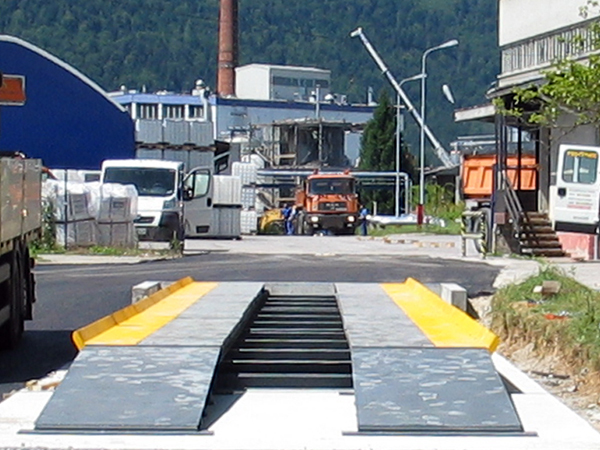 The weighbridge can be hot galvanized to reinforce its durability and operational life.